This year I really did not get a chance to participate in any Halloween writing. Though not my favorite genre, I do enjoy writing a scary story. 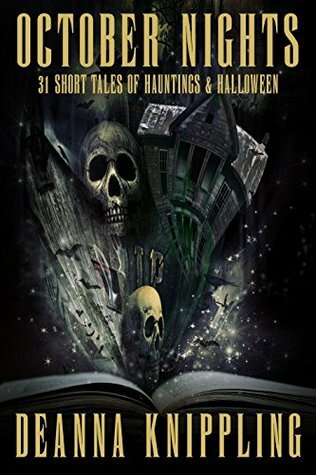 Still wanting to get my fix, I decided to try out Deanna Knippling's October Nights: 31 Tales of Hauntings and Halloween. Suffice to say, I was not disappointed. Sign into Goodreads to see if any of your friends have read October Nights.